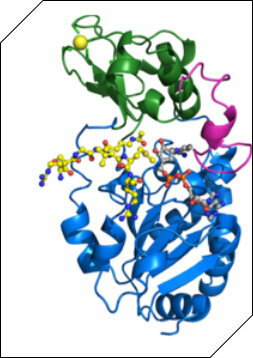 Post translational modification (PTM) of proteins is a ubiquitous control mechanism central to all key physiological processes including control of cell signalling cascades, transcriptional activation, cell cycle regulation, apoptosis, controlled protein degradation, protein folding, stability and secretion, modulation of the innate and adaptive immune response, inflammation and others. Common modifications in these processes include: • Phosphorylation • Proteolysis • Glycosylation • Acetylation • Methylation As well as being important to normal physiological control, such mechanisms are frequently implicated in pathological processes due to the abnormal control of protein modification leading to aberrant signalling and the manifestation of disease. 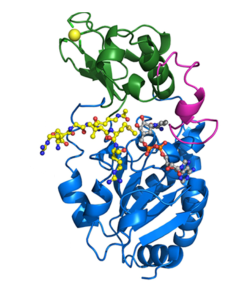 Yet despite their central role in many diseases, few of these enzymes are ever used for diagnostic purposes due principally to the perceived complexity of the assay of their activity. 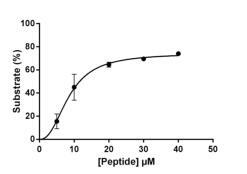 Activomics® couples novel multiplex enzymatic assays of key post translational modification enzymes with proprietary detection techniques to reveal differential PTM activities in a wide range of biological isolates. What’s more, the results can be converted into simple downstream assays that can be used in your lab providing flexibility at the all-important biomarker validation stage. Five things to know about Activomics®.